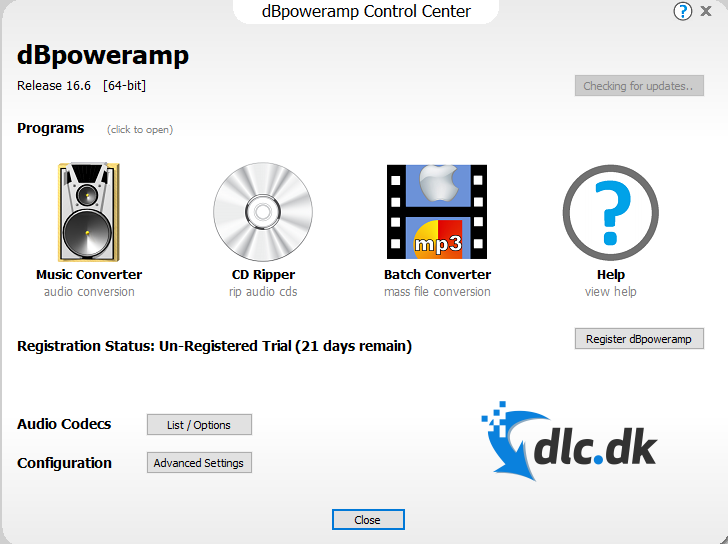 Download a free trial of dBpowerAmp for free here. With this program you can both rip and convert your audio files. You have some old CDs whose songs you would like transferred to your computer. You may have some files in the wrong format. 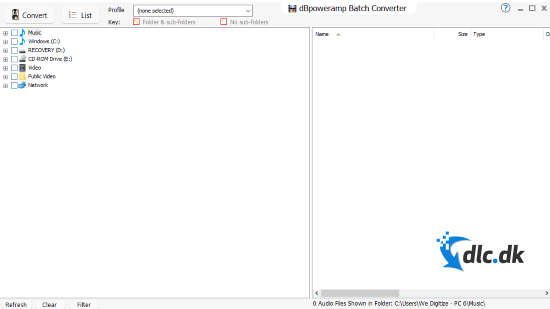 If you need a good program to convert files and / or rip CDs, then dBpowerAmp Music Converter is a good and effective program that can help you with these things. dBpowerAmp is a program developed by Illustrate. The program combines two good programs into one single program, as the program includes both an MP3 converter and a CD ripper. With more than 30 million downloads, dBpowerAmp is one of the most well-known programs for converting audio files and ripping CDs. On this page you can download a 21-day trial version of the program. What features does dBpowerAmp have? 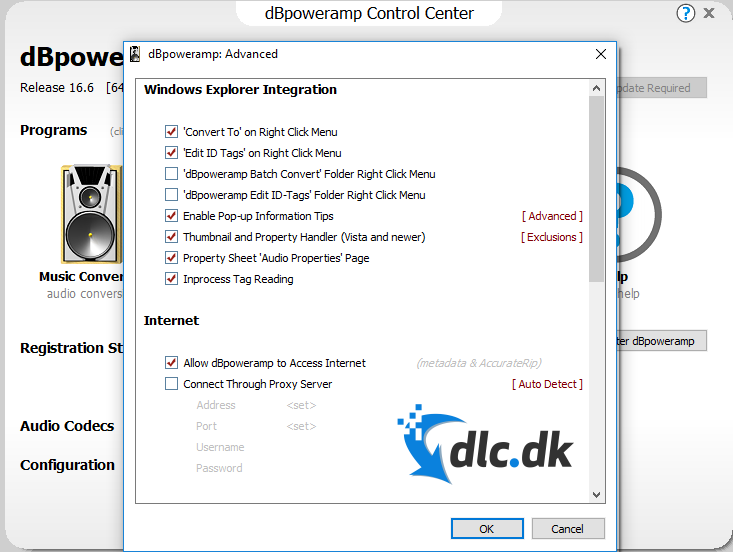 dBpowerAmp is, as previously mentioned, a program that combines two programs into one. Partially, dBpowerAmp rips CDs. This is done flawlessly and quickly. The trick here is that in this scratch, the metadata, including titles, artist names, etc., is added to these rips. The metadata is collected from four different sources, and therefore you can be sure that the information is correct. 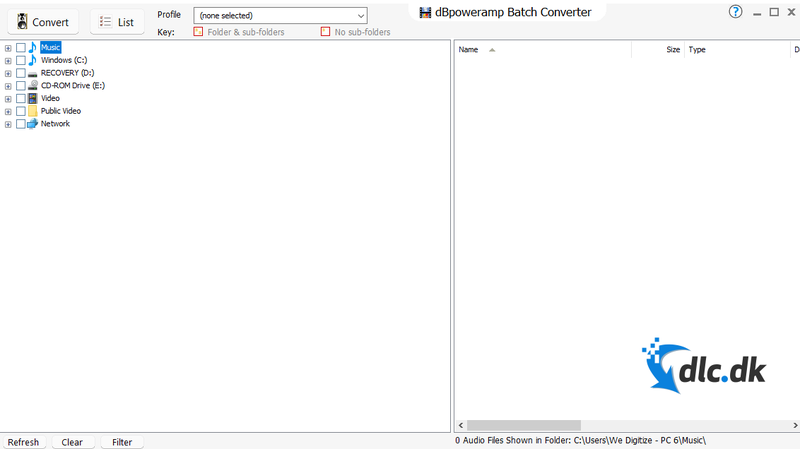 At the same time you can also convert files with dBpowerAmp. There are plenty of different audio formats to choose from. Here, too, ID tags, album art and similar items are saved to the new copies, where they are also integrated into Windows. When you right-click, you will see valuable information about your music files in the program. You also don't have to worry about the wait, as all the processes take place at a reasonable rate. If you yourself are a bit perfectionist, or just like the order in the cases, then this program is good for you. The program fits well with those users who like a good conversion program and a good organizing program, so there is control over the files. With this program, you avoid having a lot of files without titles and without any other information. dBpowerAmp supports a wide variety of file types, including: mp3, mp4, m4a (iPod & iTunes), Windows Media Audio (WMA), Ogg Vorbis, AAC, Apple Lossless, Monkey's Audio and not least FLAC (from Codec Central). The program is often called the Swiss Army Knife of Audio. It is called it because the program can convert a wide variety of formats. Is there a system requirement to be met? The trial period you download here is designed for Windows systems. If you are using a Mac, you can use this link to download. The Mac edition is also a 21-day trial and unfortunately no Linux version is available at this time. Downloading a program may be annoying to find out that this program does not meet your needs. Therefore, it is always good to do some research before you choose to download a program. After all, there could be a program that was more suited to one's needs. Therefore, two alternative programs are presented here for dBpowerAmp, namely Freemake Video Converter and Free Mp3 Wma Converter. Freemake Video Converter is unlike dBpowerAmp for converting video files. The program is free, convenient and easy to use, and so it converts between different video formats, rips and burns DVDs, converts to iPod, iPhone, iPad, PSP etc. Likewise, Freemake Video Converter can make slideshows, music visualizations, video editors, clips, collect, rotate and upload video and music to various video websites. Freemake Video Converter is suitable for both novice and experienced users. The user interface is easy to understand, and the program comes with an excellent guide that can guide one through the process. Free Mp3 Wma Converter is a freeware which, like dBpowerAmp, enables you to convert audio files easily and quickly. The program allows you to convert to and from mp3, wma, ogg, wav, flac and aac etc. This program, unlike dBpowerAmp, is completely free to download. The program is an attractive and popular solution for those who want tol convert their favorite songs into a format that allows you to play music from another device. The music can be customized to devices such as Windows, Mac, iPod and ordinary MP3 players. The program is super user-friendly so that even one without special knowledge of IT can work with the program. In the event that none of the above programs fell to your liking, you can follow this link so you can get an overview of your converter options yourself. Downloadcentral.dk recommends this program hot. 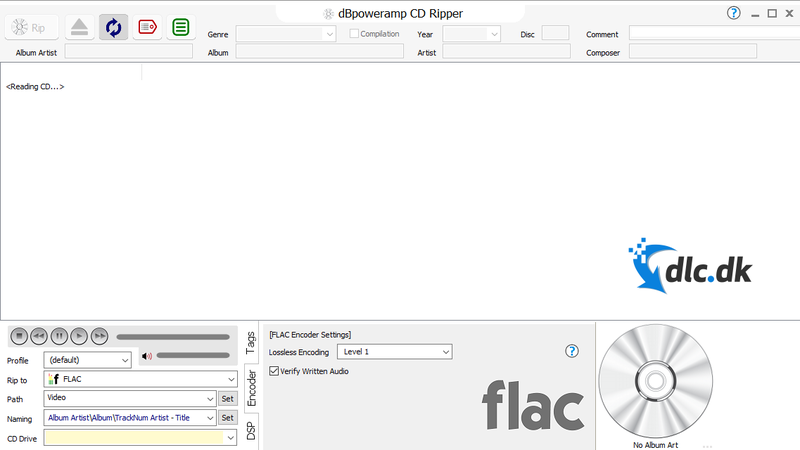 dBpowerAmp lives up to its name in that the program is extremely effective for both conversion and CD ripping. The program itself is super easy to use due to the fact that it has a nice user-friendly design. The processes are always at a good pace, at a good speed, whether the process involves CD ripping or audio conversion. It is especially nice to add metadata to your rips and converted files automatically. This way you can easily keep track of all your files. If you decide to download dBpowerAmp, you will get a good program that can rip CDs and convert files at high speed. Find dBpowerAmp Music Converter, mark it and choose "Uninstall"
Should dBpowerAmp Music Converter has been damaged or corrupted and thereby difficult to remove we can recommend you finding help to uninstall it here.